Tampa Dog Bite Defense Attorney Law Firm - BJE Law, P.A. Are you in need of a qualified dog bite attorney in Florida? You or a loved one has fallen victim to a dog bite and you’re not sure where to begin. 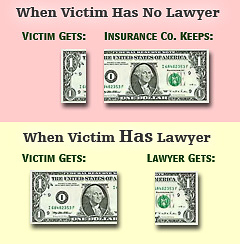 Maybe you’re not sure how to handle the case to get fairly compensated for your injuries. You’re not alone. 4.7 million dog bites occur every year and not every victim gets rightfully compensated for their injuries. Hiring an attorney to represent your dog bite claim will almost always get your claim settled more quickly and efficiently than without an attorney. A good Florida dog bite attorney knows how to negotiate with insurance companies out of court so that your case does not get dragged out and/or taken to trial. Hiring an experienced Florida dog bite attorney sooner rather than later is crucial in getting the proper evidence and documents submitted to execute your claim as quick as possible with the maximum compensation for your injuries. The frightful dog bite experience and the long road to recovery is probably overwhelming enough. Let BJE Law, P.A. handle the legal process for you and ensure you get rightfully compensated for your injuries.